Osteoporosis is a disease that thins and weakens the bones to the point that they become fragile and break easily. Women and men with osteoporosis most often break bones in the hip, spine, and wrist, but any bone can be affected. You can’t “catch” osteoporosis or give it to someone else. Bone is living tissue. Throughout our lives, the body breaks down old bone and replaces it with new bone. But as people age, more bone is broken down than is replaced. The inside of a bone normally looks like a honeycomb, but when a person has osteoporosis, the spaces inside this honeycomb become larger, reflecting the loss of bone density and strength. The outside of long bones — called the cortex — also thins, further weakening the bone. In fact, the word “osteoporosis” means “porous bone.” Osteoporosis is often called “silent” because bone loss occurs without symptoms. People may not know that they have osteoporosis until a sudden strain, bump, or fall causes a bone to break. 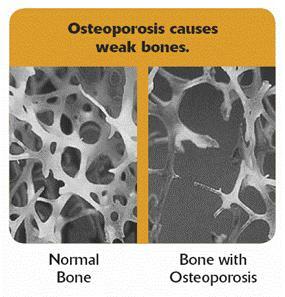 Anyone can develop osteoporosis, but it is common in older women. As many as half of all women and a quarter of men older than 50 will break a bone due to osteoporosis. Sometime around the age of 30, bone mass stops increasing, and the goal for bone health is to keep as much bone as possible for as long as you can. In most women, the rate of bone loss increases for several years after menopause, then slows down again, but continues. In men, the bone loss occurs more slowly. But by age 65 or 70, most men and women are losing bone at the same rate. When bones are weakened by osteoporosis, a sudden strain, bump, or simple fall can cause a fracture or a break. This can result in a trip to the hospital, surgery, and possibly a long-term disabling condition. One out of every two women and one out of every four men will have an osteoporosis-related fracture in their lifetime. The good news is that many osteoporotic fractures can be prevented and treated. 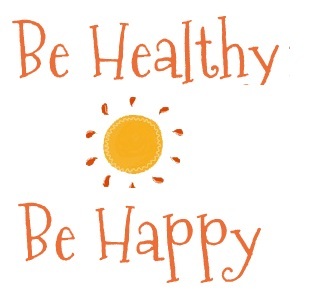 Healthy lifestyle choices such as proper diet, exercise, and treatment medications can help prevent further bone loss and reduce the risk of fractures.